The Classic World Magic Ball stimulates the imagination of children as they push, pull and squeeze to see where each element goes. It encourages shape and colour recognition as well as improving problem solving through play. Classic World Magic Ball helps develop your baby's imagination. It encourages shape and colour recognition and also improves problem solving skills through play. 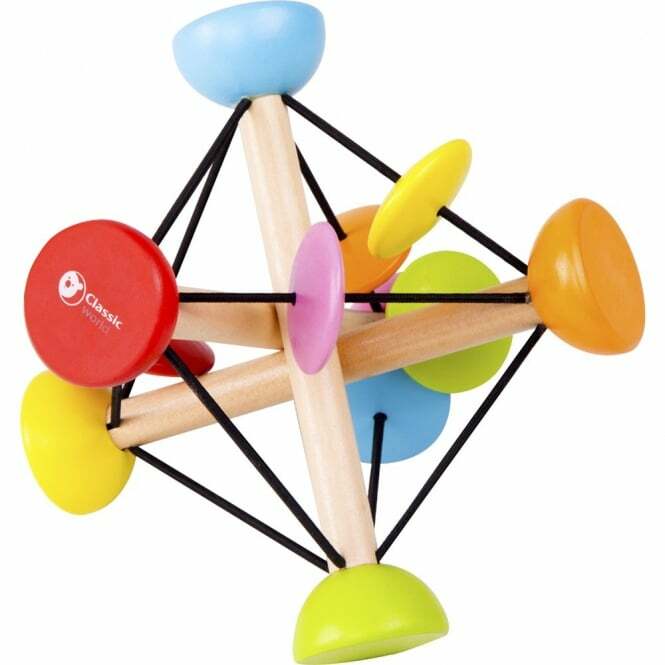 Classic World Magic Ball can be pushed, pulled and squeezed which aids the development of dexterity and coordination.